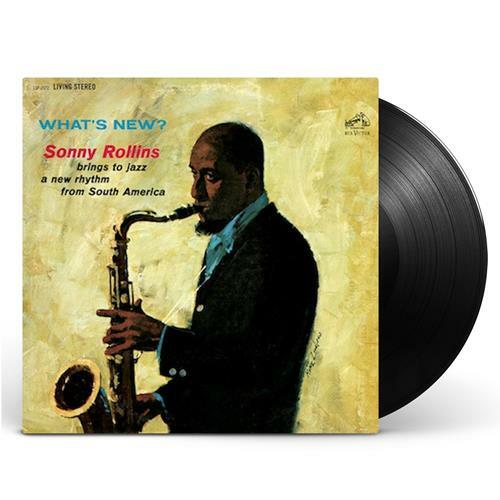 One of the most underrated albums in Sonny Rollins' extensive catalog, What's New? is his second recording for the RCA Victor label, featuring performances with Jim Hall, Bob Cranshaw, Ben Riley, Dennis Charles, Frank Charles, Willie Rodriguez and Candido. Many of these songs find Rollins utilizing the Latin rhythms of Candido and, on the calypso "Brownskin Girl," a vocal chorus interacts with the group. Mastered from original analog tapes by Grammy Award winner Bernie Grundman and pressed on 180gram audiophile-grade vinyl at Pallas in Germany, this reissue shines a new light on Rollins' 1962 masterpiece.